The Nags Head is the kind of traditional hostelry that any self respecting boater would want to walk to from a restored Grantham Canal – or indeed that any self respecting person would want to walk to from anywhere! 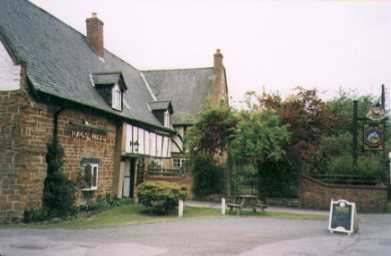 Nestling at the heart of the fine Leicestershire village of Harby, part of the building dates from the 14th century – one of the oldest in the county – but it wasn’t originally a pub – in those days, the upstairs served as accommodation for the local monks whilst their animals lived beneath. Much of the original timber structure can be found under today’s modern roof and within the downstairs area of the building which was licensed about 200 years ago. Visitors to the pub will find a lounge area with beamed ceiling, cosy alcoves and traditional furnishings, along with areas for pub games such as darts, cribbage and even pool.